Amazon has pulled more than a dozen products off its website after receiving complaints from Muslim. The complaints were filed last week after Independent merchants were selling doormats imprinted with Islamic scripture on Amazon. 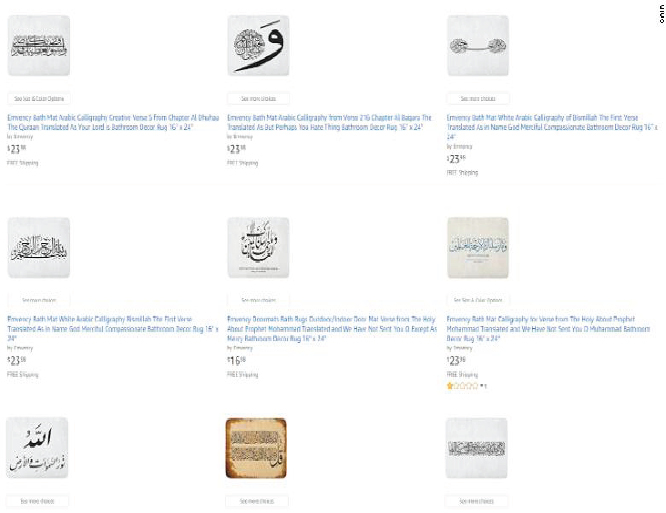 The Council on American-Islamic Relations (CAIR) asked the online retailer last week to remove the products, which included doormats, bath mats and other items imprinted with Islamic calligraphy, references to the Prophet Muhammad and scripture. 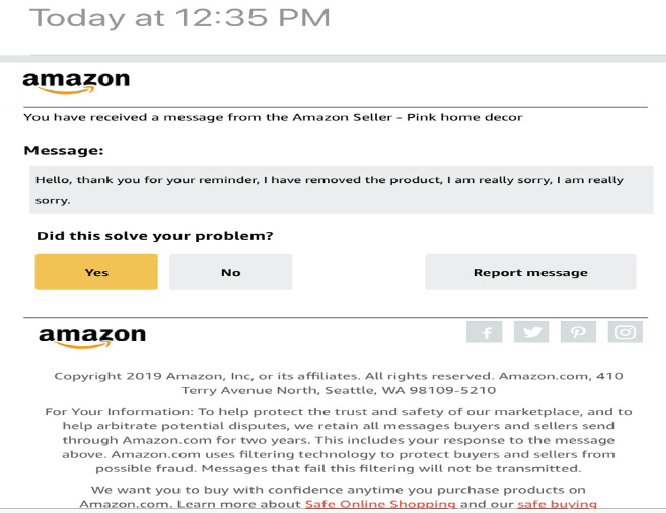 Ahmed Hamza a Vancouver resident who saw the online retailer selling these products took quick action and lodged a complaint with Amazon. After the products were removed from the sellers website CAIR issued the following statement. "We thank Amazon for its swift action on this issue and hope it sends a message to manufacturers of such inappropriate and offensive items that they will not profit from Islamophobia or any other form of bigotry," Masih Fouladi, executive director of CAIR's Washington state chapter, said in the statement.